Giovanella’s estate consists of 110 hectares, 72 of which are wineyears that grow in two Doc areas: Oltrepo Pavese and Colli Piacentini. The bor­der between the two areas is right on the hill where rises the castle. In the Lombard side of the estate grow Barbera, Bonarda, Merlot, Chardonnay and Pinot Nero, while in the Emilian side grow Malvasia, Cabernet Sauvignon and Gutturnio. These are all traditional varieties of this area, and to make them express at their best potential the winery carries on a deep study and a constant research, always respecting the story and typicality of the varieties. But Giovannella Fugazza also dedicates a particular care to the image of her bottles: original ideas, unusual names and labels, that are fruit of personal choices, sometimes impudently dar­ing. As this special collaboration with l’Eclaireur. 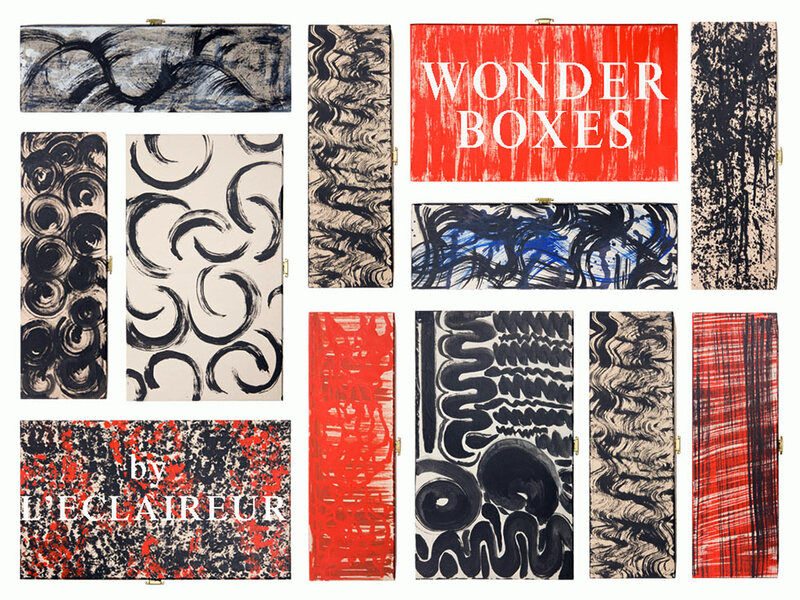 The result is an exclusive product, a collection of unique boxes with graphic design, created by and for l’Eclaireur, to suit such exceptional bottles. Like a jewel in a case, each bottle is a gift in itself.